Sweetgum trees survive in a wide range of diverse conditions and have a fast growth rate similar to pine trees. They provide the type of fiber needed for specialty papers, and they have long been desired by paper and bioenergy producers. One drawback is the fact that harvesting mature sweetgums is often ill-advised or expensive as these trees generally grow very well on the swamp edges and in river bottoms, which are difficult to access during winter. This issue could have been solved by a research team from the University of Georgia. The researchers developed hybrid sweetgum with improved growth rate and denser wood when compared to the natives. This hybrid sweetgum was produced by crossing American sweetgums with their Chinese cousins and is capable of producing fiber all through the year. Scott Merkle, professor in UGA's Warnell School of Forestry and Natural Resources, stated that these hybrid sweetgum trees have immense potential to produce paper and bioenergy. 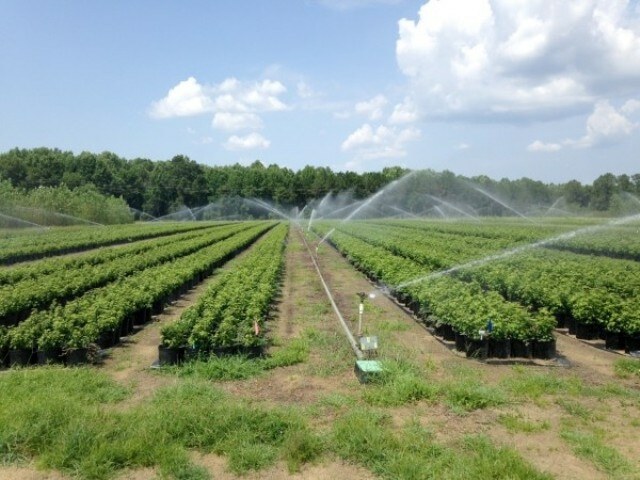 The very best hybrid sweetgums are being propagated to produce elite varieties, so that landowners will be able to plant trees that produce more biomass in a shorter time than the top-rated native sweetgum trees. ArborGen Inc. has already started to commercialize the new hybrid varieties. The sales process started in 2015 by providing rooted cutting seedlings of the new hybrid varieties. This process started after ArborGen conducted a wide range of field tests for the trees developed from tissue cultures in Merkle's lab at Alabama, South Carolina and Georgia. The tests highlighted that the new hybrids performed 20% better than the parent species in both wood density and growth rate. The new hybrid trees are co-owned by a forest seedlings company headquartered in South Carolina, and University of Georgia Research Foundation (UGARF). Forest landowners, especially those in the western areas of the Southeast, including Oklahoma, Arkansas and Texas majorly welcome these new hybrids. This year ArborGen developed 300,000 seedlings and sold out even before the hybrid could be commercialized. We were testing the viability of this tree in the marketplace and are pleased to say it was received even better than expected. We are now taking orders for next year with anticipation that we will see the same, if not greater demand, than this year. There will be a limited supply so we are asking customers that are interested to contact us as soon as possible. A variety of other hybrid trees have been developed for forest crops, including pines, Eucalyptus and hybrid poplars. However, Merkle, Warnell's associate dean for research, stated that these other trees have not gained increased popularity in the Southeast's forestry industry. It is not possible to grow hybrid eucalyptus in north of Florida as they find it difficult to live through freeze damage because of their lack of tolerance in the cold. Hybrid poplars have also failed to perform well in the Southeast as they do not tolerate drought very well. Merkle further stated that the hybrid pine trees, which are commercially available, are crosses between pitch pines and loblolly pines, that can be grown in the West Virginia mountains. However, sweetgums and hybrids have already started to grow across different sites in the region. Merkle planned to merge hybrid breeding with somatic embryogenesis, which refers to the process of mass propagating trees from somatic cells, significantly propagating the embryos from seeds developed from the crossing of the two sweetgum species. In 1999, other researchers with International Paper Company used pollen gathered from three Chinese sweetgum trees in a Mississippi test plantation in order to pollinate specific American sweetgums. These researchers sent the seeds obtained from cross-pollinated trees to Merkle, and he then propagated trees from their embryos. Merkle used these seeds to perform cultures in his lab, and he developed thousands of embryos that germinated to create somatic seedlings that were later planted. In 2005, the hybrid breeding and culturing process was performed for the second time by developing an increasing number of seedlings of this new hybrid variety, and for the next 10 years these seedlings were further planted in field tests by ArborGen and International Paper. Merkle pointed out that these new hybrids can be recognized by the unique shape of their leaf, which is to a certain extent somewhere between the five-lobed American sweetgum and the three-lobed Chinese sweetgum. He also stated that the merging of both the hybridizing and propagating techniques enabled rapid testing that usually takes a long time. This merging enabled the researchers to test the quality of the new trees in a more accurate manner instead of growing one tree from one seed followed by waiting. By testing multiple trees of the same variety, we can be sure that the superior growth and wood density are due to their genetics, rather than other factors. The combination of hybrid breeding with somatic embryogenesis is very powerful, both for testing and for eventual scaled-up production of planting stock for deployment. We are also employing this strategy to help The American Chestnut Foundation produce blight-resistant varieties and to propagate ash trees so they can be tested for resistance to emerald ash borer. The researchers planted the seedlings and then analyzed which ones proved to be the best, arriving at four varieties that exhibited excellent growth rate and the densest wood. ArborGen identified these trees with good traits, developed thousands more through rooted cuttings and then started selling them in 2015. Merkle stated that the need for a new hardwood hybrid comes with a slight increase in hardwood timber prices. Recent data highlight that either the supply of hardwood fiber in the Southeast is declining or the demand for hardwood fiber is increasing-or both. This explains the fact that prices for pulpwood and hardwood pulpwood are at present significantly equal. The Southeastern U.S., known as the Wood Basket of the World, is home to a booming forest industry that naturally depended on softwoods like pine trees to supply the bioenergy, lumber, paper and various other wood products manufacturers. Georgia also exports wood pellets to countries using bioenergy in power production. Pait stated that these performing hybrid sweetgums with their superior performance are capable of significantly contributing to plantation forests and improving the sustainability of this wood basket.